I first tried sewing when I began high school. My school prescribed to some weird gender based division of classes for year 7 and the girls did home economics and sewing, and the boys did woodwork and metalwork. Then after 2 terms we switched. It was pretty terrible as I recall, and I truly HATED being made to do cooking and sewing. I was a total tomboy and i was incredibly aggravated that I had to go and do “girly” things. Fast forward to now and i love both of those things, how times have changed! 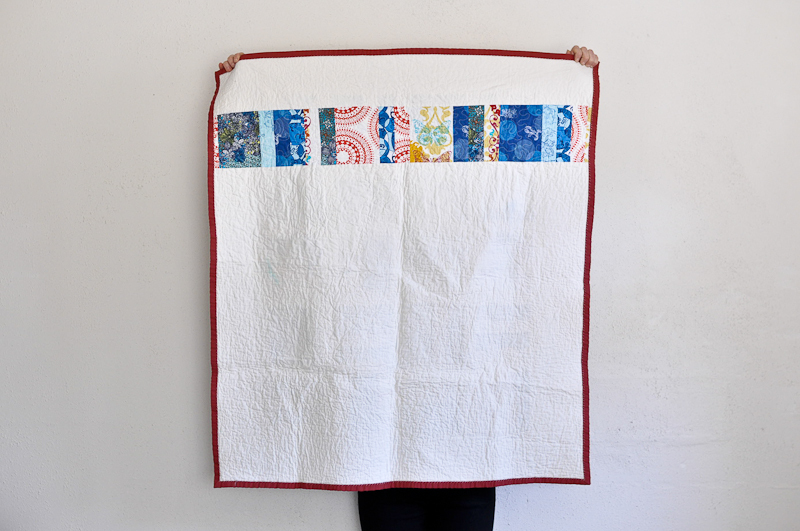 In 2008 I decided the time was ripe for me to make my first quilt. Before i lashed out and bought myself a sewing machine, I borrowed an old janome from my friend Sarah and set about sewing together a cot quilt for the child I hoped to one day have. 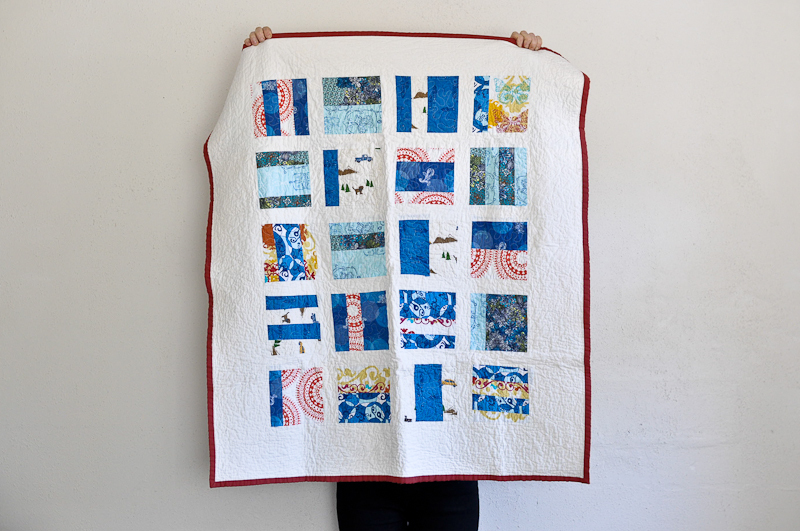 By the time I reached the quilting stage I realised I already wanted to do another, so I handed Sarah back her sewing machine and bought myself the cheapest one I could lower the feed dogs on and embarked on my freehand quilting journey. 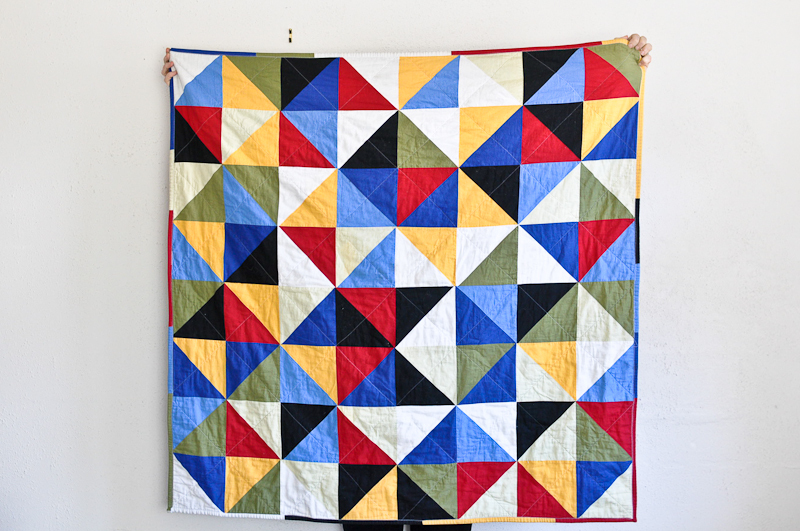 It lasted all the way through a total of 4 quilts, and by the last one I was massively pregnant. So that was the end of that! 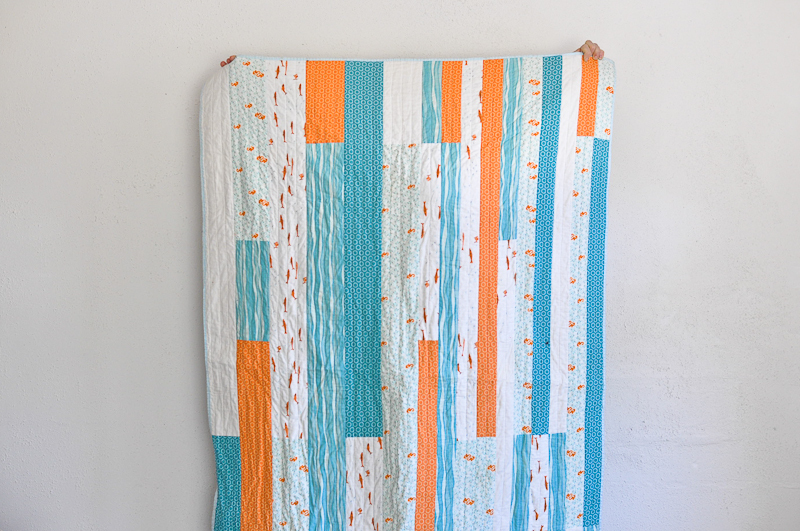 I kept up with my sewing though, trying out many things, and I am ever thankful to quilting. It taught me to sew a straight line, that is for sure.